Insurers receive calls and emails every week from consumers who are worried about their home rebuild or repair claims. When most people sign up for their policies, the insurer’s role is briefly explained in relation to oversight of contracting work. However, it is easy to forget this information over time and especially when an upsetting event happens that warrants a claim. What Are the Insurer’s Responsibilities? The insurance company’s main responsibility is paying for the costs of the claim, which are outlined in the policy. It is the responsibility of the homeowner to see that projects with contractors go smoothly, and homeowners are responsible for working with lenders when applicable. However, insurers may work with contractors and lenders when applicable. If the policy’s language clearly states that the insurance company is obligated to oversee or manage home rebuilds and repairs, policyholders are relieved of these tasks. 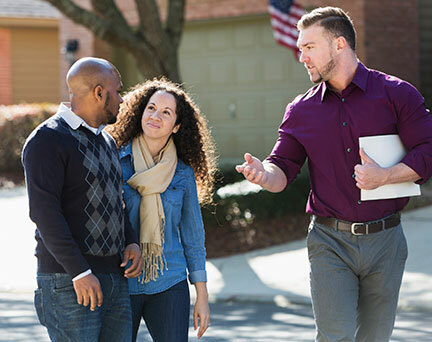 When in doubt, ask an agent about a specific policy. In most cases, policyholders who use the recommended or preferred contracting companies that their insurer recommends will receive some form of assurance. Policyholders in these situations can contact their claim representatives during the course of the repair work to ask about the contractor’s tasks and performance. What Are the Policyholder’s Responsibilities? Homeowners are responsible for preventing extensive damage. In many instances, the original damage may become worse if temporary repairs are not made. For example, a roof may need a temporary patching to keep rain out until a contractor can permanently fix the roof. If the roof were left open while it rained, the home could have worsening water damage. This provision is found in the loss mitigation part of the policy. For policyholders who are unsure about the difference between permanent and temporary repairs and what is acceptable, it is best to ask an agent about specific concerns. Policyholders who fail to make temporary repairs or mitigate the loss could wind up paying for the worsening damages on their own. Consider the damaged roof example in the previous paragraph. If the original damage included only a hole and water damage to the roof, the insurance company would pay for that. However, the homeowner would have to pay for any water damage to floors and walls that happened because of a failure to temporarily patch the roof. With water damage cases, homeowners often end up paying to replace rotting building materials and mold. Homeowners are required to mitigate their losses even before they set up work with a contractor. When damage occurs that can lead to more damages, always make it a priority to temporarily fix it immediately. Meemic offers access to a network of contractors who can quickly complete temporary repairs. Filing a claim is not as difficult as it may seem. Many people mistakenly believe that their premiums will automatically increase by large numbers. However, this is not true, and claim reps are valuable advocates during the claims process. Contacting them immediately after noticing damage is the best way to avoid paying more for repairs. To learn more about loss mitigation and filing a claim before it becomes a necessity, discuss concerns with an agent.